Project Mu HC800 Brake Pads are a premium performance street, race, and rally brake pad. 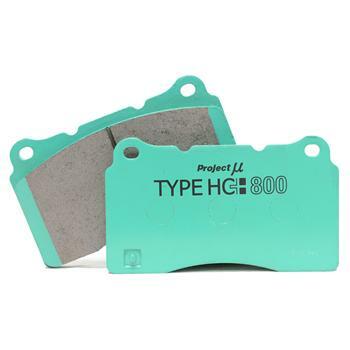 HC800 Brake Pads have more bite than both NS400 and B-Spec and has excellent fade resistance. Capable of operating at temperatures up to 800° (1,472°f), this pad will handle almost all serious braking conditions. Along with temperature capabilities, HC800 is characterized as a “drivers pad” with unmatched driver feel and control. HC800 is a genuine ‘crossover’ pad suitable for both road and race. It is extremely capable in competition environments, so use this pad if you are involved in serious track day, rally, etc.